The Equality Act 2010, which replaced the DDA Act, presents a challenge as to how to provide temporary wheelchair access over grass or rough ground when required. The Walk-Top Ground-Guards panels provide the perfect solution and can be re-used time after time at all manner of events from funerals to school sports days. 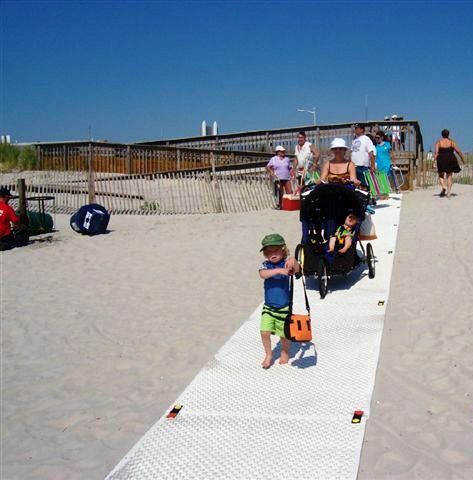 The Ground-Guards panels are also ideal for providing wheelchair and pushchair access onto beaches. 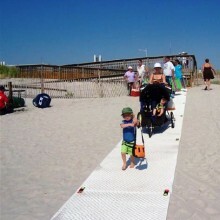 For this purpose, the white panels are more appropriate as they stay cooler underfoot in hot weather.